End nuclear power in California once and for all. The last remaining nuclear power plant in California is located near Avila Beach in San Luis Obispo County on the pristine central coast, just upwind of some of the best agricultural land in the world. It sits near 13 active earthquake fault lines in an historic tsunami zone and poses a risk for a Fukushima-style disaster. Our research suggests Diablo is sickening and killing residents who live in the surrounding area. It must be closed now. We team up with local and national groups to build on the already significant pressure to close the Diablo Canyon plant. Support an end to fossil fuels and a real pathway toward Clean Energy! Express your support for safe energy. Sign our petition to Close Diablo Canyon! 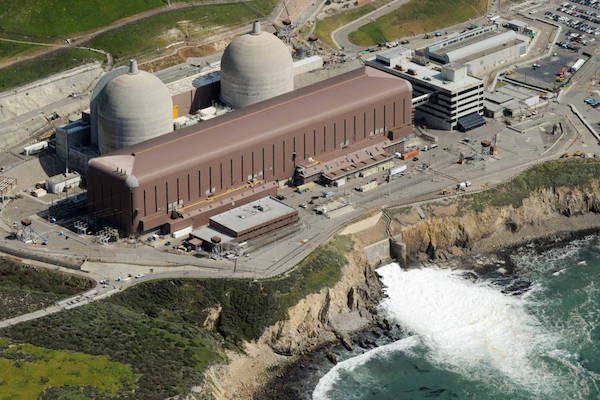 The World Business Academy has worked tirelessly to hold Southern California Edison accountable for the extreme danger and extraordinary price tag of its faulty nuclear power plant in San Diego County. As the only business group representing ratepayers in the oversight hearings at the California Public Utilities Commission (CPUC), our contribution was unique and powerful.